Since prehistoric times, plagues of desert locusts (a large grasshopper that swarms) have threatened food production in Africa, the Middle East and Asia. The swarms may cover several hundred square kilometers and contain 50 million locusts per square kilometer. A square kilometer of locusts can consume about 100 tons of crops per day. Regular monitoring of locust breeding areas and targeted insecticide sprays as populations increase prevent plagues most years. However, monitoring locust breeding areas can be difficult as many are located in remote areas or are in areas inaccessible due to border disputes and lack of security. 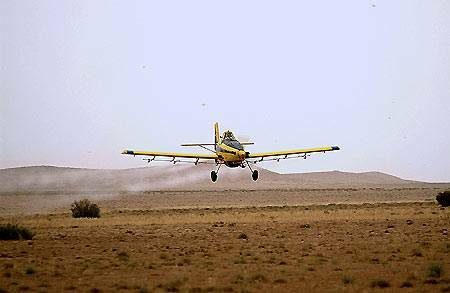 When major outbreaks occur, widespread insecticide spraying is necessary. “When locust upsurges and plagues develop, large scale control campaigns must be mounted on an emergency basis. 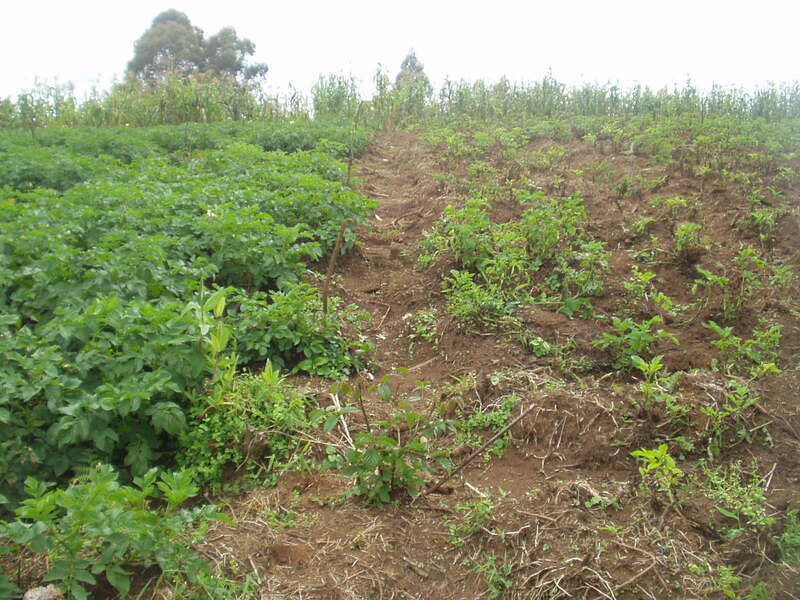 These campaigns are expensive, use large quantities of insecticide and involve external assistance. During the last plague of 1986-89, some 40 countries were affected and more than 14 million hectares were treated. The total amount of assistance provide by the international community during the plague was about US$ 250 million. The total amount of assistance provided by the international community during the last major upsurge from 2003-2005 was about 400 million US Dollars where about 13 million litres of pesticides were used to treat 13 million hectare in 11 countries. Title: Workshop on Spray Equipment Used in Desert Locust Control, 10-14, May. 2009. “Striga hermonthica (L.) Benth. or witchweed is a parasitic weed that attacks maize, sorghum, and pearl millet. It has become an increasing problem to small-scale subsistence farmers in sub-Saharan Africa and represents today the largest single biological barrier to food production in the region…. 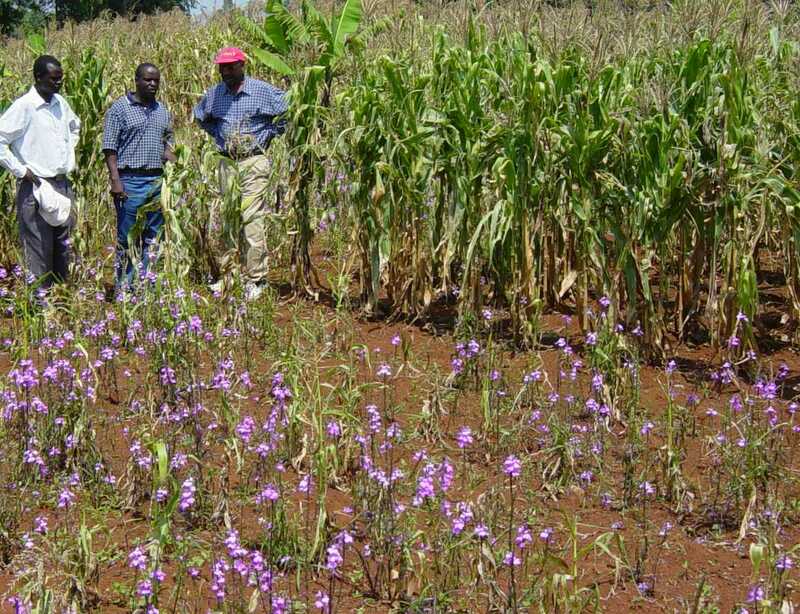 Striga infestations can become so severe in all major cereal producing regions of Africa that farmers will abandon their fields to cereal production and therefore large swathes of Africa will be precluded from becoming major cereal producing areas. With this seed coating technology, Striga seeds after germination and before attachment and Striga seedlings that attach are controlled when the herbicide concentration in the soil or plant is adequate, thereby protecting the maize plant when it is most sensitive to parasitism. New technologies being developed should be tested on-farm, under researcher- as well as under farmer-managed conditions before general dissemination…. Therefore, a set of trials, surveys, and farmer evaluations were conducted in western Kenya, parallel to the development of IR-maize. Authors: Ransom, J., et al. Affiliations: North Dakota State University. Title: Herbicide applied to imidazolinone resistant-maize seed as a Striga control option for small-scale African farmers. Source: Weed Science. 2012. 60:283-289. In 2003, a new invasive fruit fly from Asia was detected in Africa. The pest has spread across a north-south distance of over 5000 km in West Central Africa. The female fly implants its eggs in young mango. The larvae or maggots develop in the flesh of fruit by digging tunnels (which provide opportunities for secondary infections when the larvae emerge from the fruit). “Bactrocera invadens… is a recently described fruit fly species from Asia that is of major quarantine concern in Africa and elsewhere. On mango, direct damage owing to B. invadens has been reported to range from 30 to 80% of the crop depending on the cultivar, locality, and season. In addition to direct losses, indirect losses attributed to quarantine restrictions on the pest have been enormous. 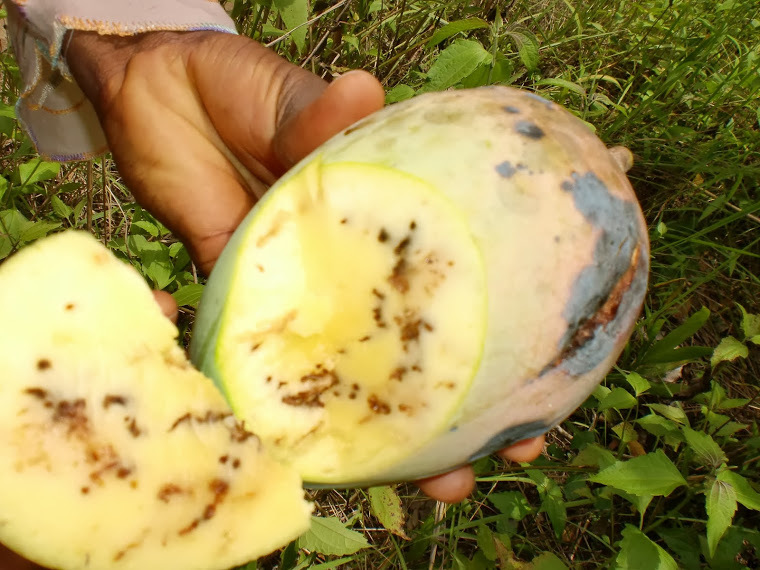 The European Union (EU) phytosanitary regulations in relation to non-European Tephritidae are tightening and interception and rejection of African mangoes in the EU, owing to fruit flies, have been on the increase since the arrival of B. invadens. These direct and indirect costs have wide reaching socioeconomic implications for millions of people in rural and urban communities involved in the mango value chain across Africa. In this study, we evaluated the relative efficacy of six commercially available food-based attractants in trapping male and female B. invadens in mango. Furthermore, we evaluated the efficacy of the most attractive bait, sprayed in conjunction with spinosad for field suppression of B. invadens in mango orchards in Kenya during two fruiting seasons. Authors: Ekesi, S., et al. Affiliation: International Centre of Insect Physiology and Ecology, Kenya. Title: Comparison of Food-Based Attractants for Bactrocera invadens (Diptera: Tephritidae) and Evaluation of Mazoferm-Spinosad Bait Spray for Field Suppression in Mango. Source: Journal of Economic Entomology. 2014. 107:299-309. Onchocerciasis, also known as river blindness and Robles disease, is caused by infection with the parasitic worm Onchocerca volvulus. Symptoms include severe itching, bumps under the skin, and blindness. The parasite worm is spread by the bites of a black fly of the Simulium type. Usually many bites are required before infection occurs. These flies live near rivers therefore the name of the disease. Once inside a person the worms create larva that make their way out to the skin. 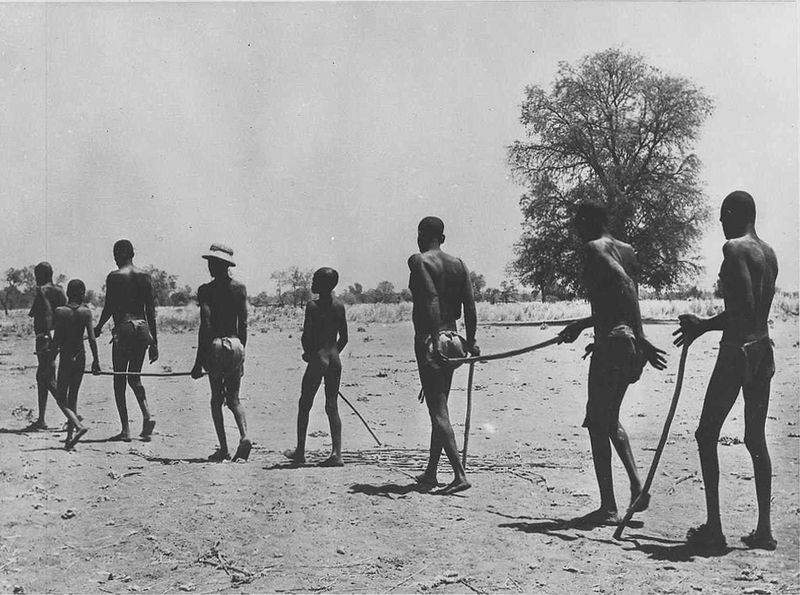 “The control of onchocerciasis, or river blindness, in West Africa has been hailed worldwide as a public health and economic development success. The World Health Organization (WHO) and the World Bank estimate that because of The Onchocerciasis Control Programme (OCP) in West Africa 40 million people have been protected from river blindness and an estimated 600,000 cases of blindness have been prevented in the 11 participating countries, 25 million hectares of arable land in previously infected river valleys have been open to resettlement and cultivation, and food resources for an estimated 17 million people are now being produced. Authors: Resh, V. H., et al. Affiliation: Department of Environmental Science, University of California, Berkeley. Title: Long-Term, Large-Scale Biomonitoring of the Unknown: Assessing the Effects of Insecticides to Control River Blindness (Onchocerciasis) in West Africa. Source: Annu. Rev. Entomol. 2004. 49:115-139. 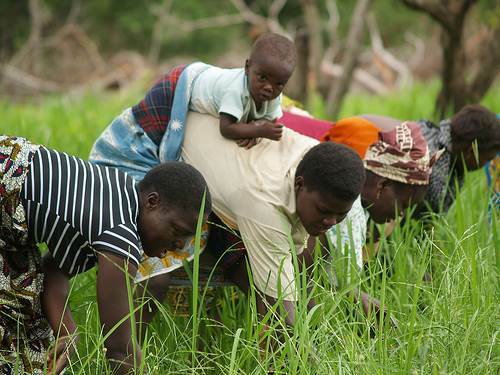 In Ghana, recent farmer surveys show that herbicide use by rice farmers is high. The adoption of herbicides is not due to programs being promoted by international organizations. Rather, the high adoption is simply due to farmers learning about the benefits of herbicides from other farmers. “There was strikingly high use of herbicide in rice plots, with 84 percent of rice area treated with herbicide across all rice ecologies. Fifty-eight percent of rice area was treated with herbicide before planting, and 69 percent of the area was treated with herbicide after planting. The yield of plots with herbicide is significantly higher than that of plots without herbicide for all rice ecologies…. For irrigated plots with fertilizer and certified seed, there was a 3.1 ton/hectare difference between plots with and without herbicide. A simple comparison of weeding costs suggests that farmers using herbicide spend 666 cedi/hectare total in purchasing herbicide (8 liters at 8 cedi/liter) and an additional 86 person-days for manual weeding, while farmers not using herbicide spend 1,477 cedi/hectare for manual weeding for 211 person-days on average. It is apparent from this calculation that it is cheaper to purchase herbicide than to hire or use family labor for weeding. Authors: Ragasa, C., et al. Affiliation: International Food Policy Research Institute. Title: Patterns of Adoption of Improved Rice Technologies in Ghana. Ghana leads the way in terms of herbicide use by maize farmers in Africa. Farmers applying herbicides are enjoying higher maize yields, less need for backbreaking handweeding, and lower costs of weeding. “Herbicide is widely used among maize farmers in Ghana. Seventy-three percent of maize area was applied with herbicide either before or after planting. Figures in Ghana are far higher than earlier estimates for Africa south of the Sahara: 3 percent adoption among maize smallholders in Africa south of the Sahara. Plots treated with herbicide have a significantly higher average yield than those without herbicide, with the greatest difference in the Northern Savannah zone. In plots with fertilizer and certified seed, those with herbicide have 1.4 tons/hectare more yield than those without herbicide in the Northern Savannah zone. Title: Patterns of Adoption of Improved Maize Technologies in Ghana. Cowpea, A Major Source of Protein in Africa, Requires Insecticide Applications. Cowpea (also known as black-eyed pea) originated in Africa and is the major source of plant proteins in the diet of rural populations in sub-Saharan Africa. 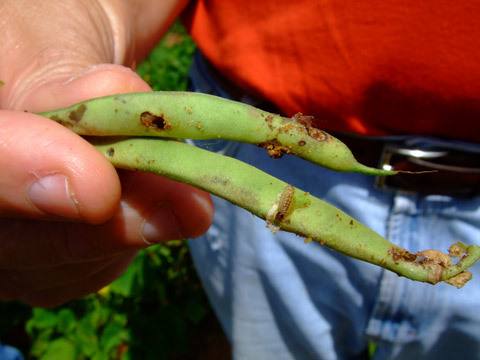 Insect pests pose the greatest threat to cowpea production. The crop is attacked at every stage of its growth by insects. Since the late 1970s, extensive studies on insect pests of cowpeas have been conducted at the International Institute of Tropical Agriculture (IITA). IITA’s Guide to Cowpea Production in West Africa states that generally, 2-3 sprays are required for a good crop of cowpea. “Cowpea is one of the most important food and forage legumes in the semi-arid tropics. Despite cowpea’s importance and high yield potential in the Nigerian savannas, insect pest attack is a major constraint upon production. Severity can vary, and sometimes lead to total yield loss. High levels of insect resistance are not available in current cultivars. Authors: Kamara, A. Y., et al. Affiliation: International Institute of Tropical Agriculture, Nigeria. Title: Integrating planting date with insecticide spraying regimes to manage insect pests of cowpea in north-eastern Nigeria. Source: International Journal of Pest Management. 2010. 56:243-253. Nematodes are invertebrate roundworms that are second only to insects in the number of species in the animal kingdom. One cubic foot of soil may contain millions of individual nematodes. 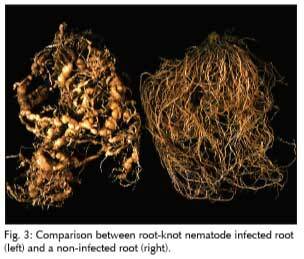 Nematodes feed on plant roots. Damage and low yields caused by nematodes frequently go unrecognized or are attributed to other causes. Research in Africa has demonstrated that controlling plant-parasitic nematodes can increase crop yields dramatically. “Sweet pepper, the second most important vegetable crop in Niger, after onions is grown all over the country, but the region of Diffa alone accounts for over 85% of national production. 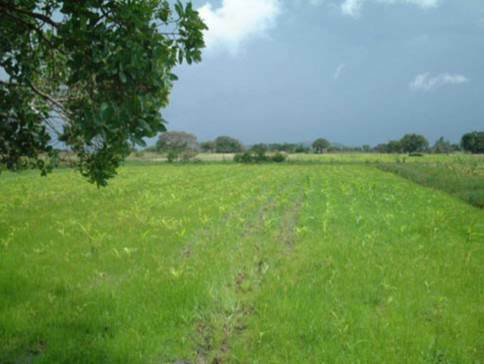 The area planted in 2008 exceeds 7000 ha with a production estimated at 120000 t.
The production is mainly exported to Nigeria and procures substantial income to the people of the region of Diffa. The average fruit yield of the crop is about 17 t/ha. This is very low compared to the potential of the crop. This low yield is partly due to diseases and pests pressure, namely the damage caused by plant-parasitic nematodes. 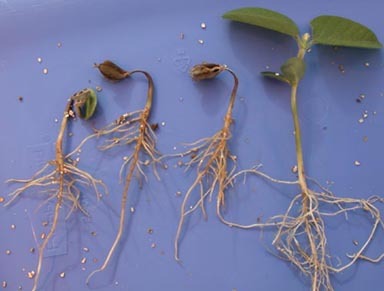 …Yield losses caused by these nematodes can reach up to 60% in heavily infested sandy soils. The study assessed the effectiveness of Savanem 20 EC (Ethoprophos, 200g/l), a newly introduced nematicide on the plant-parasitic nematodes associated with sweet pepper. Savanem increased the average yield by 37.1% and Furadan by 20.6%. Authors: Adamou, H., et al. Title: On-farm testing of savanem 20 EC (ethoprophos) for control of plant parasitic nematodes associated with pepper (Capsicum annuum) in tillaberi (Niger). Source: Asian Journal of Agricultural Sciences. 2013. 5:83-87. Seeds may be attacked by insects and pathogens once planted in the soil. Treating seed with insecticides and fungicides is commonplace in the U.S. and other developed countries. Contact insecticides and fungicides coated on the seed create a protective barrier on the seed that slows or stops the insects and pathogens from attacking the seed. In Africa, seed treatments are not widely-used to protect seeds planted by small-scale farmers and crop losses occur. Research shows that the use of seed treatments could substantially increase African crop production. “Disease and insect attacks are an important constraint for crop productivity in the drylands of West Africa. A test was therefore included to find out whether treating seeds with a combined fungicide/insecticide could increase yields. The results showed that the treatment of seeds increased yields by 17% on average, compared with untreated seeds. A previous study showed that the average yield increase due to seed treatment with fungicide/insecticide was 30% for pearl millet in West Africa. Affiliation: Norwegian University of Life Science. Title: Low-cost technologies for improved productivity of dryland farming in Mali. Source: Outlook on Agriculture. 2012. 41:103-108.